The Royal Nanhai shipwreck site was found littered with celadon ware from the famous Sisatchanalai kilns in Thailand and a few Chinese celadon plates. The archeological excavations of the site provided many new data. Museums and antique collectors appreciated some of the finest 15th century celadon wares ever seen in the market. A description of the remains of the ship and a report of its 15th century celadon ware has been finalized by Sten Sjostrand of Nanhai Marine Archaeology. The vessel appears to have measured 28x7 meters and seems to be of a typical South China Sea design. This type of vessel, a hybrid that combines Chinese and Southeast Asian elements, has hull planks joined by wooden dowels, and transversal bulkheads. Samples of the wood have been analyzed and identified as Hopea Sp., a type of tropical hardwood native to most parts of Southeast Asia. More details of all shipwrecks excavated by Nanhai Marine Archaeology can be found on www.mingwrecks.com. fish that is still a delicacy in Southeast Asia. Extensive analysis of thousands of the celadon dishes has yielded new insights regarding the decoration of these wares, their potting and glazing and the firing techniques used to produce them. One specific group of dishes was singled out with this analysis, a set of dishes that might not have been apparent otherwise. This set proved to have more elaborate decoration, better survival grade, straight foot-rim and little reoxidizing coloring in its base. These dishes are likely to have been produced in a separate kiln that had perfected the full techniques of celadon production. Seven pieces of blue and white pottery from China and Vietnam were also discovered, surprisingly and perhaps significantly, in a secret compartment next to the keel and below all other cargo. Blue and white ceramics are thought to have been especially scarce in the period AD. 1370-1440. The presence of these blue and white pieces, and the style of their painted designs, suggests a date for the wreck of mid-15th century. This date is supported by a carbon-14 date corresponding to AD.1400 +/- 70-years. More than 2.600 ceramics from the cargo were donated to the National Museum in Kuala Lumpur where they will always be available for future study. Another assemblage of representative wares was given to the Pekan Museum in Pahang State for the same purpose. 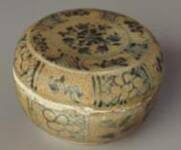 Pofessor Wan Qingzeng at Shanghai Museum say's that a similar 'moon hare' motif were used in Chinese blue and white porcelains during the 14 th century. Nanhai Marine Archaeology Sdn. Bhd. was incorporated on the recommendation of the Malaysian authorities. This was done in order to formalize and to expand on the company’s researcher’s extensive knowledge of Asia’s ceramic developments and maritime trade. The company’s researchers have been engaged in the search for historical shipwrecks for more than two decades and another decade researching maritime trade. Most of this work is concentrated to the South China Sea, a virtual highway for ancient shipping linking China to India, the Middle East and Southeast Asia in an extensive maritime trade system. 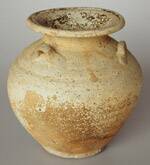 This ancient trade started sometime around the 4th century and lasted well into the 19th century. Following a successful shipwreck discovery, the company obtain a government permit to excavate the wreckage, and then carry out detailed marine archaeological procedures in recovering the artifacts, mapping the ship's remains and securing other data for future research. After each concluded project and following conservation of recovered artifacts, we search for and pinpoint ruined kiln sites and compare its wasters with the recovered ceramics until we are satisfied we located the place in which the shipwreck pottery was made centuries earlier. Due to the unquestionable authenticity and precisely dated shipwreck pottery, many International Museums now display our shipwreck pieces as reference material. The artifacts sold on this website are therefore legally and properly excavated and can be supplied with an export permit from the Department of Museum in Malaysia should this be required. This unique working arrangement makes us one of the few Internet sellers that sell from own excavation and issues a meaningful Certificate of Authenticity with all artifacts with a sertial number. Nanhai Marine Archeology Sdn. Bhd. CLICK ON ABOVE IMAGES TO VIEW OUR SALES PAGES.